Who can register .MK or .МКД Domain Name? Who can register com.mk net.mk or int.mk domain names? What about registering gov.mk, edu.mk, and org.mk? For how many years can I register a .MK domain name, and where do I validate domain name? How long does it take to register a .MK domain name? What are excepted characters of .MK domain name, and are there any restrictions on any of their domain names? What are the nameservers and which ones do I need for my .MK domain name? How about trustee service for .MK domain names? Can I transfer my .MK domain name, and how hard it can be to do it? .MK is Internet country code top-level domain name for Macedonia. It is administered by The Macedonian Academic Research Network (MARnet). This small country was once part of Yugoslavia, and after the war has ended, they needed to have their own domain name extension. MARnet represents itself as the institution that performs activities of public interest. It is established by passing the law of Macedonian academic research network, which is represented and published in September of 2010. With that act, MARnet acquired the status of a legal entity by registering in the Central Register of the Republic of Macedonia. 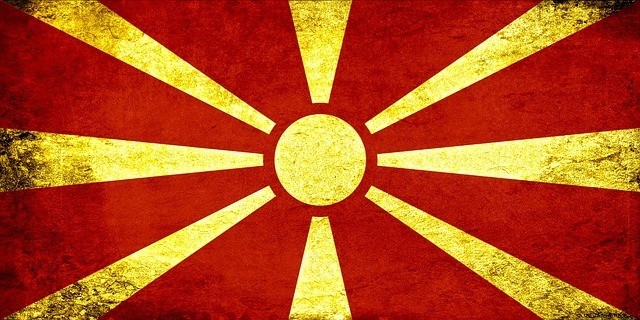 Everyone is heard about Macedonia even once in their lifetime. They have old culture, very old habits, they are on the way from and to Greece, and have a rich history, which is not to be disregarded when it comes to business, and other things that are of great value when talking about the world economy. Macedonia was once part of Greek Kingdom and was used as a spiritual and cultural entrance to the great word of Greek culture. Having its independence now, it’s of great importance to get in touch with this small country which, we may say, it’s the link between middle Europe and the South, where everything seems to be a bit different from many customs. So, in the matter of connection with the world, Macedonia is still today an important location, so reaching Macedonia in every aspect is of a big importance. Let’s just say that if you register an .MK domain extension today, will assure you a great business tomorrow. It will confirm your credibility and set you as an example for future businesses to be open to new ways of communicating and doing business with the world. Let us start with basics. Macedonian domain names have also Cyrillic extension, so, if not native, you will be purchasing a domain name that doesn’t mean much to you, but it can be linked to your global website, and by translating your site, you can gain in their market, where it’s place for business always, like everywhere in the world. Right to register a .mk and a .мкд domain name, have all domestic and foreign individuals and legal entities. New domain name is registered with the mediation of the Registrar for a .mk and .мкд domains. The right to register these domains are companies, individuals registered for independent professional activity, persons with public authorities, chambers, cooperatives, financial institutions, legal entities and persons registered for economic activity, shorten everything connected to the business world can find its place in those extensions. Let’s start with .gov.mk and the right to register this domain name have state administration, institutions and other organizations established by Constitution of the Republic of Macedonia and law, as well as public companies and local government units and the City of Skopje. Registration of .gov.mk is performed exclusively in MARnet, which is, as we stated a Macedonian state Registry. With the extension edu.mk is similar to all other education domain names, so, edu.mk domains have educational and research institutions, foreign educational organizations that have a license to perform educational and scientific research etc. And finally, org.mk, as the extension say, right to register a org.mk domain name, have nonprofit organizations, civilian associations and foundations, political parties, trade unions, public health institutions, funds and other foreign embassies, foreign nonprofit organizations to which the international agreement or under the law shall be allowed to carry out profit activity. Those are general rules for registering a Second-Level domain name, but those rules are for .gov.mk and .org.mk. Minimum of registration of .mk domain name is 1 ( one ) year, and a maximum is 10 ( ten ) years. Payment is being done annually, and invoicing should be done by registrars, where you bought your domain name. The easiest way is to order a domain name which you will use for Website or a blog, etc., for as many years as you think your business or topic, or whatever content you may have. So, you don’t need to worry about your annual fees. For example, big companies with a business plan that extends at least 6 months, will purchase a Domain Name for at least 5 years in advance, so there will be no mistake in the future who is the owner of the certain domain. Those who don’t really understand the whole Domain Name ‘’business’’, will also make sure that for a small price, they don’t need to worry about ‘’that thing’’ at least for 5 up to 8 years. The only businesses and individuals that will go from one year to another, are those who get the whole matter completely, and have no trouble to buy, sell, transfer, or do anything with their domain name. In many of cases where this matter is still pretty abstract. They will pay for sure, and buy their domain name for, sometimes even 10 years, in which case they may get a discount, or one or more features for free, for paying so much in advance, which is not that bad, if you consider that you can get maybe ID Protection for free for the half of years you paid, if it’s about 8-10 year registration. A time frame for registering a .mk domain name is 1 ( one ) day. This domain name is not expected to launch before 1 day, but once it’s launched, registration time frame will start to count. Keep in mind, this is a country that just got status for selling their national Domain Names out in the world, which is a great deal for them, but since they were so long out of world marketplace, even if the frame just one day, they may keep you a bit longer waiting, which has nothing to do with you on any level, just that they are still watching their every step, since they got the permit to sell their Domain Names freely just two years ago ( in 2016. ). For their and your own sake, be a bit patient, because they will come true. When it comes to a domain name of a .mk domain, it may consist of at least 1 to a maximum of 63 characters, the first and last character cannot be a “-” sign (dash). The regulations on this one are pretty much the same as for all registrations, except for the .мкд domain names, which is a bit different, but still, general rules are all the same. There are Cyrillic letters, and Domain Name cannot be as long as 63 characters, but it’s their native language, and there are letters that are rare to be seen except for this region of the world. So, in English letters, adding the numbers and hyphen, the limit is 63, as we said, but in Cyrillic, along with the numbers, 30 characters are more than enough. Keep it in mind when registering this interesting Domain Name extension. Names of the servers where the domain is set. The names of the nameservers are provided by the hosting company, which is hosting a domain name. For the correct placement of the domain, it requires at least two namespace servers. In this case, you should turn to your provider, and they will provide you with nameservers you need to host your domain name, and its content. Trustee service helps you satisfy most local presence requirements when there are restrictions on registering a domain name. And this service is not available for a .mk extensions. 1. The first step must be preparing your domain name to be transferred, by ensuring your WHOIS information is accurate and up to date, and second, unlock your domain name for enabling to be transferred. 2. Ask your registry for EPP code, in which case, one mail with EPP code goes to you, and the other gets the person you want to transfer your domain to or the other way around. By verifying these codes, a transfer will be done in short period of time. This time is limited by the accuracy of your data, and by the registrar, you are dealing with. In case of a .mk domain names, it shouldn’t be longer than 5 working days. If there is any delay, you will be informed why your transfer didn’t go well, or what additional steps you should make, to shorten the process of transferring your domain. When talking about .MK domain names, can I hide my private information ( Private WHOIS )? No, at the present time. MK domain zone does not provide means to hide the information of the domain owner. All information ( name, address, email account, etc. ) will be displayed in WHOIS. But, it also depends on the Registry where you chose to purchase your domain, there are many of them that offer Private ID Protection, for low cost, and you can be assured that your contact information will be protected. Possibilities are endless, and as for protection of your personal information, in the first place, most providers don’t ask for much information, and secondly, the little data that you left with them, for the lowest cost, you can rest assured that your personal information is for registration purposes only, and no one will ever know that you or your company is the owner of the domain you want. Is there local presence needed to register .MK or .МКД Domain Name? Until just a few months ago, it was essential to have the local presence to be able to register a .mk domain name, but now it is much to easier. They weren’t so opened to do tradings or have anyone who is not Macedonian, to have their domain name bought on the open market. They were country for themselves, and without any aspiration to go further, to look into the future, where there is so much to gain just by being in the open market. They were so close as a state, that you needed to be resident with a home address in Skopje ( which is the capital of Macedonia ), just to be able to purchase any one of their domain names. Since then, it has passed a short time, and now they are more than willing to trade their domain names, finally starting to get how much money, and trade they can all gain as a country. Just by having their domain names out for sale. Even though their law about domains is so strict, they finally saw that there is a great big world out there, and almost everyone would like to do business, like in every corner of the world, and everyone wants it’s ‘ part of the big cake ’, until one day, someone strongly suggested that there is plenty of trading goods, and making profit, and Macedonia, with its strict Internet laws, is staying well behind, losing big chunks of deals, and money with it, with their closed politics, when it comes to availability of their connection to the world. Seeing that it’s their loss and that world won’t stop spinning, it will just get around them, and keep on going, they change the tune, and now there are almost none limitations when it comes to Domain Names. Today, there are no limitations, there is no local presence needed to by a .mk domain name. Can I register just one domain name, or do I need to by more than that amount? And this is a good question too. So, the simplest answer is – no, you can register as many or as little as just one domain name. Now comes the catch, you surely do not need more than one domain name, either way, if you, for example, own a business, and you want to establish one of your companies in this beautiful country, or, just to get new customers by offering your services to a new, Macedonian population, you will get them easier if you have a .mk Domain Name but, when you already by a .mk Domain, you’ll surely want to have a Second-Level domain name, and by that, it is, by far the best solution to get another domain. It’s the easiest way to ensure that no one can steal your Trademark, and there you already have two domains, one is .mk, and the other is .com.mk. For those in business is a pretty common thing to always by those two in pair, except for the countries where, if you register your domain name on your company name, Second-Level domain name which is owned by your company is strictly forbidden for registration, it’s not that unusual to when you get one domain name for the company, you get the second domain for free, because, simply, no one else can use it. So, when you do want to assure your business name to be just your own, in Macedonia you’ll have to buy two domains, that is the only way that your company name is not being used for purposes other than just for your business. Finland, for example, and Island’s around it have a strict policy on this matter, having in mind that they developed a wide net of secured domains, so with them, you can not make a mistake. Nearing the summary, why would anyone want to register .MK Domain Name? Starting with basics, when owning even just a small company, any kind of business, even something just to inform people about current events, you must never forget that in every corner there is someone who looks toward you, who is interested, not even starting to think about near future, where you’ll have it all on a palm of your hand. Without trying, you will remember that you heard about, or read just a few days ago…it’s how you spread the news, it’s how the small news will become larger, and bit by bit, you can own a great company that, like all the others, started a small. Because .mk is not just an extension, it’s a way of leading old customers in new, better direction, and to show the new ones – true values of being different, and doing something others just dreamt about. So, go on, take a new step, you’ll see, future is here already. Are individual.MK domain registrations allowed? Yes, they are, any person or company in the world can by a .mk domain name, without any restrictions. Let’s not forget that they have Cyrillic domains, so the same rule applies, when registering .МКД domain name. Are company or legal entities registrations allowed to register .MK or .МКД domain name? Of course. Any company can register both of those extensions for any legal entities. There is not much trouble, the only thing you really need is Tax number, or companies ID number, to prove that the company name you want to register is not someone else’s Brand or trademark, and you can choose any domain name you want. Are there requirements, documents, and information needed to register a .mk domain name? There is not much info that you need to register both, legal or company name, for a .mk domains. For individuals, there are three things, and that is only if you don’t have an address in Macedonia – there is your name, passport number, and a valid email address. For a company, you’ll need Tax ID, company name, and a valid email address, there is only one rule – if the .com.mk domain name taken, a .mk with the same prefix can be bought only by the owner of the same .com.mk, or it can not be bought at all. What is the registration term allowed for .MK domain names? Like in most cases, a .mk domain name must be registered for at least 1 ( one ) year. Always have in mind that – the more years you get in advance, the lesser you’ll have to pay, and can even get some of the products that are not included in the first year of registering the domain name. How long does it take to register my new .MK domain name? It takes up to 1 ( one ) day, yes it’s that simple, 24h is not more than we need to help you buy your new domain name. The sooner you pay your Invoice, the sooner your name will be on the list, when you check WHOIS database. What are the characters and their length when registering .MK and .МКД domain name? Like most of the others, minimum for registering a .mk domain name is 3 ( three ) and maximum 63 ( sixty-three ) characters which may include letters from A to Z as well as numbers from 0 to 9, and a hyphen ( – ). Few other rules, that are pretty common, a domain name cannot start or end with a hyphen, and that hyphen can’t be placed on the third or s fourth place in a domain name. As we said, set of rules are a bit different for .МКД, but the rule is not a big one, because, instead of a maximum of characters being 63 of them, the Cyrillic maximum is 30 characters. Always keep in mind that Space key on your keyboard is forbidden in any domain name you want to buy, but until now you must have known that. Find a good, short name for your domain, easy to remember and easier to find, and you are on your way. Is there a trustee service when it comes to the .MK domain names? Even though trustee service is important, there still is no trustee service for this extension. How do I host my new .MK domain? In many cases, hosting services is not a million dollar question, but it is an important one. When buying a domain name you’ll be offered many choices when hosting is in question. You can see on most hosting Web sites that, with most packages offer include many different things like Expiry protection, but besides there is much more than that. You can get a personalized theme for your site, even 24h support. Can I hide my registration information? ( meaning of Private WHOIS ) ? Unfortunately, when privacy is in question there is still no way to hide your basic info from Private WHOIS databases, so your contact info will be displayed when someone wants to know who is the owner of the certain domain name. Is there a Grace period, and how long it lasts? MARnet doesn’t offer any grace period, so if you want to renew a .mk or .МКД domain name, you must place the order of renewal at least 30 days before the first year expires. Some registrars want you to be sure and prolong this period for 2 months or 60 days, but in general, you should announce that you want the same domain for another year, at least 30 days before it expires. Is Backordering an option, when .MK domain names are in question? Depending on some other registrars, which will cost you just a little bit of money, or in some cases, some Registrar will do it for free. Besides, they should be helpful, since they must have some kind of profit. Do I need a Trademark if you are a company to be able to register .MK domain name? No, you do not. In any case, being so near Greece, your presence on this marketplace will sure push you further. Second-level domain names are used strictly by Macedonians, and it’s there for their purposes, however, there is a .EDU.MK or IN.MK, but for those who want them are usually residents of the capital of Macedonia, Skopje. Of course, there is a question who gets the money when paying for the domain name? In this case, all the money for domain name registration goes to Macedonian Registry MARnet, which doesn’t sell domains, but it all goes to Registrars, so, again, you are in the right place. There is a matter of hosting, but keep in mind that every information that you will see here is accurate, and there is not a single hidden thing. Next Post:What is the best domain registrar for the .ai ccTLD?